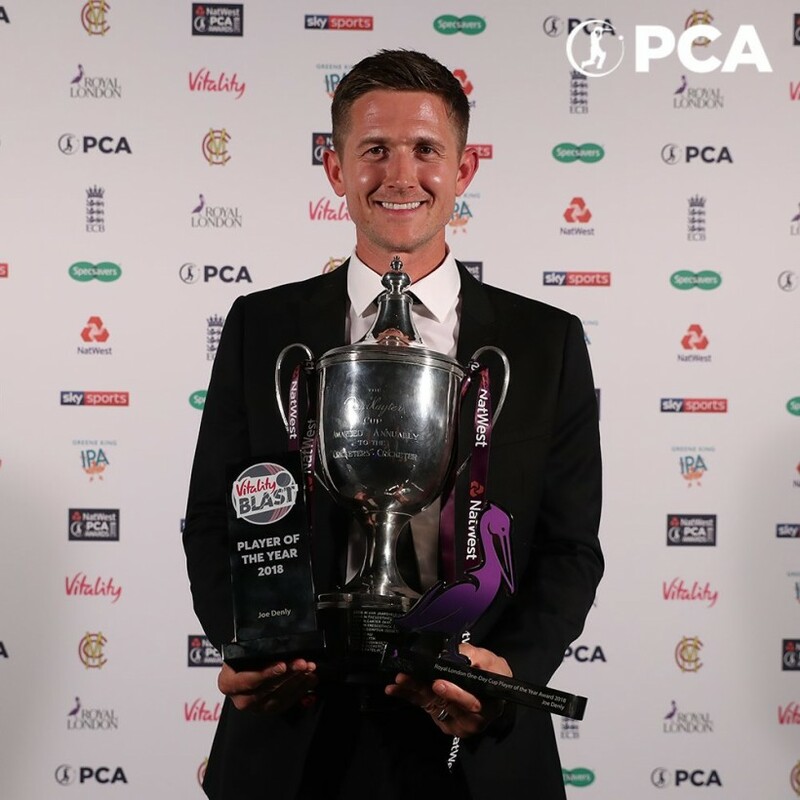 Joe Denly capped off a magnificent season in style after winning the most prestigious individual award in English cricket, the Professional Cricketers’ Association (PCA) Players’ Player of the Year. It was one of three awards the Kent vice-captain was presented with at the PCA’s annual end-of-season function at the Roundhouse in Camden. Denly, whose stunning form throughout the summer earned him a call-up to the England Test squad to tour Sri Lanka next month, was also presented with the Vitality Blast Player of the Year and Royal London One-Day Cup Player of the Year trophies, as well as being selected in the Team of the Year. The 32-year-old right-hander won the Players’ Player of the Year award ahead of the three other nominees, Kent team-mate Matt Henry and the Surrey duo of Rory Burns and Rikki Clarke after he received the most votes from his fellow peers after a season in which he scored 1729 runs, alongside taking 57 wickets with his legspin in all formats of the game. After his triumphant night, Denly, who was named the PCA’s Most Valuable Player last week, said: “Being here tonight and being the NatWest PCA Players’ Player of the Year, it’s a very proud day and the ultimate accolade in domestic cricket. It’s been a very enjoyable 12 months that’s for sure. “The last couple of years is about enjoying cricket and having a good understanding of what works for me and what doesn’t, and really sticking to that and enjoying that.